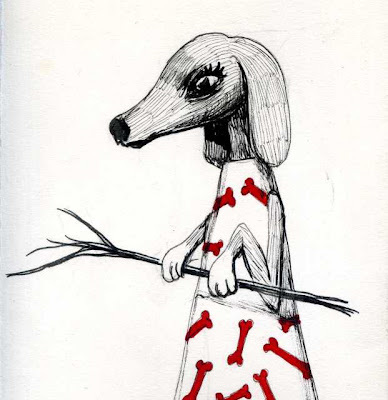 Just wait she's already wearing a bone dress. Her favorite food and clothing. How excellent!